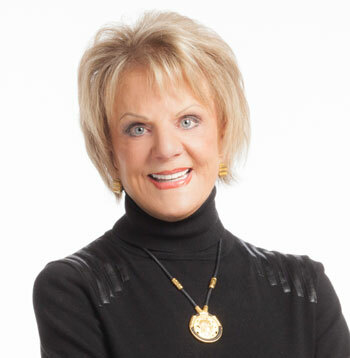 Katrine Watson, Trinkie to all, is the doyen of Tahoe real estate and a respected member of the Bay Area real estate cognoscenti, admired for her tenaciousness and undiminished passion for the business. Her longevity in a business that burns out lesser mortals, coupled with her committed service to the blue water community that she calls home, has made her a legend within the industry. This is a woman of great personal and professional style, yet with an interest in the metaphysical and the spiritual side of life that ranges from astrology to Feng Shui. And if owners are a reflection of their dogs, she mirrors the attributes of her beloved German Shepard canine friends—highly intelligent, hard-working, affable and receptive to cue. I was born and raised in San Francisco and attended 4 schools and 3 colleges, before graduating from UC Berkeley. I was somewhat head-strong in my youth. I knew what I liked and didn’t like! My first job was with Standard Oil, followed by a stint at a local PR firm where I had the Republican Party as a client, working on the 1964 Republican Convention, as well as various fund-raising ventures. Those were the days—Telegraph Hill apartment for $125 a month, a brief marriage that lasted less than a year and tons of travel. It was Kismet that first got me to Tahoe. I ran into old friends, rented their vacation home, tooled around in an orange Kawasaki and yellow Pinto, took a variety of jobs—tennis hostess, substitute secretary, office manager—and got my real estate license in the process. I eventually worked full time in Tahoe real estate for more than 10 years, representing developers and realtors, before decamping to San Diego. Family matters brought me back to San Francisco where I worked for Grubb & Ellis when they had a residential division. But the siren call of Tahoe was too strong. I classify my early years as “floating on the surface of life”—chasing good times. Absolutely! Then I met Shari Chase just as she was about to start Chase International. This was when personal computers were taking off. I was learning mail merge and sending out letters to everybody. We had fax machines then — no internet, so there were papers in the waste basket a mile high. Subsequently, I created an office in Tahoe City. Today, Chase International has 9 offices, approximately 300 agents and is the acknowledged #1 luxury player in the region. Shari Chase has had an enormous influence on me. She’s remarkably supportive but can be very direct. I’ll never forget the first time she said to me, “Get over it!” I was so mad. I can’t even remember what it was about, but my back just went up, and yet, now I find I use the expression myself. What she was trying to teach me was to get out of yourself–look at the bigger picture, as opposed to your own feelings. I love this business. I really do! When they put me in the big box and cart me away, it will be my last sale. I often tell people that “I can’t afford myself”. I have expensive tastes, so I have to continue working. But it’s more about loving the job. I don’t know what I would do with myself if I wasn’t in the middle of a real estate deal. Our clients tend to come and go. Usually, once they’ve sold, they’re gone. You don’t have a lot of repeat business. But the agents endure. So, I’ve always felt that it’s important to develop strong, professional relationships with my peers and be cooperative. That’s why it drives me insane when I hear experienced agents being nasty to younger agents entering the business. As I’ve gotten older, I find I have a lot more patience. I don’t get as upset when things awry. Usually there’s a way to resolve most issues. This from a woman who sent an email to the wrong person recently, and it cost me a listing. I’m a big believer in marketing. I spend approximately 25% of revenue on marketing support. Aside from some obligatory print advertising, I’m heavily committed to social media, and spend consistently on good old direct mail which keeps my name visible and memorable. Everyone I speak to in the business remains positive about Tahoe for the next 12 to 24 months. Everything under $3 million continues to march off the shelf. The reasons are obvious—beauty, year-round outdoor activities and the opportunity to escape the madness of the Bay Area. And with communications technology as it is, you can work out of your Tahoe home for weeks on end just as effectively as from a SOMA office high-rise or a Silicon Valley campus. That’s why were seeing younger home buyers and families investing in the area–because of all of that tech and bio-tech money. I’ve sold more than 90 lakefront properties in my career but there are some interesting trends developing. Late Fall, there wasn’t one property in all of Lake Tahoe over $10 million in escrow, and there were fewer than 6 sales in 2017 surpassing $10 million. Since then we’ve seen a $22, $36 and $40 million sale, all within 5 months. Lakefront inventory continues to be low with only 14 on the North and West Shores as of mid-June, ranging from $1.6 to $25 million. Very few international clients come to our area. We get some traffic from Southern California, but 60-65% comes from the Bay Area and many of those are vacation property owners of second and third homes. Some of the less-expensive properties are occupied full-time, but the majority are definitely vacation homes. Ironically, the more they spend on them, the less they use them. I love the history of the Fleur du Lac luxury condominiums. The site was formerly the Kaiser Estate, constructed in 1938 when Henry J. Kaiser purchased the 15-acre lakeshore site which consisted of 17 large homes, small cottages, servants’ quarters, a yacht club and boat house. From the early 1960s until 1979, the Estate went through a series of transitional uses, including the primary on-location scenes for Francis Ford Coppola’s film, “The Godfather II”. (My first two German Shepherds, Baron and Nelson starred in the movie). Today it encompasses 22 luxurious chateaux ranging in size from 4,300 to 6,000 square feet. A “Wow” moment in my career was handling a $17 million lakefront property on the West shore. I had both sides of that one. But the mistake that hurt the most was a wrong commission rate published in an MLS listing. That cost me serious 5 figures. We have our share of con artists. Must be something in the lake water. I had one recently where the client was interested in a very big property on the East shore. She knew that she had to come up with funds before coming to Tahoe. Then I get the “I have a favor to ask” routine. It was some bizarre thing about paying for her hotel. I just wrote back and said, “Thank you, but it’s hard for me to believe that someone who is looking at a $69 million property doesn’t have the funds to cover hotel accommodations. It’s not something that I do. If you’re still interested in the property and want to see it, I’d be happy to show it.” That’s the last I heard from her.